It’s never too early to start preparing for flu season, and that’s exactly what the Centers for Disease Control and Prevention (CDC) is urging Americans to do. Last year, seasonal influenza hit epidemic levels for 16 straight weeks and more than 700,000 people were hospitalized. It may be too early to tell what’s on tap for this year’s flu season. The World Health Organization typically gauges flu activity to make predictions, according to Dr. Judy Tung, an internal medicine physician at New York-Presbyterian Hospital. Last year, an influenza A H3N2 subtype was the predominant strain and this is likely to be the case again this year, she said. What can you do to avoid the flu epidemic? Get vaccinated — and do it early. 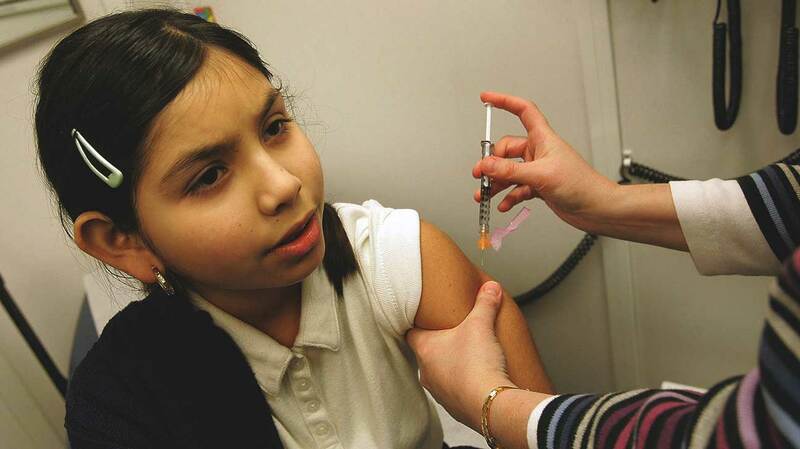 People should receive a flu shot by the end of October, the CDC advises. This year’s vaccine can cover up to four different strains of the illness — two As (an H1N1 and an H3N2) and two Bs, Tung said. “Newer recombinant technologies have broken away from our reliance on the egg-based manufacturing of flu shots and are therefore safe for people with egg allergies,” she noted. David J. Topham, PhD, a microbiology and immunology professor at the University of Rochester Medical Center, explained that in addition to egg-grown vaccines, a cell-culture-grown vaccine and one made in insect cells (known as FluBlok) are available. The insect vaccine has some advantages: The influenza proteins in it don’t have mutations that the virus would need to grow in eggs, and as a consequence is more similar to the H3N2 viruses that circulate in people. “So it’s possible but not proven that the insect cell vaccine may elicit immunity that’s a better match for the circulating H3 strains,” he said. Have a needle phobia? People ages 2 through 49 can get an intranasal vaccine. “The intranasal flu vaccine wasn’t recommended in the prior two years but has been approved for 2018 to 2019 usage,” Tung added. It does contain a live attenuated virus so it isn’t appropriate for people who are pregnant, have immunocompromising conditions, or severe asthma, she explained. The live attenuated influenza vaccine is now recommended for use in children, Topham noted. “It wasn’t recommended for a couple of years, only as a last-ditch alternative to the injection,” Topham said. There’s also a variety of the vaccine geared toward senior citizens over the age of 65. The high-dose option is 25 percent more effective than the standard dose. People should know that the flu shot can’t cause a person to get the flu. This has been demonstrated in several randomized controlled trials, Tung said. “Part of the reason why the flu shot is never 100 percent effective is because the flu virus is tricky and undergoes antigenic drifts (or genetic changes) all the time, forcing us to try to keep pace with these changes with annual vaccine updates. Drifts can happen within a season which renders the vaccine less than effective,” she explained. Another perk to getting a flu shot, even if you’re not at high risk for the flu, is that it protects you and the people around you. “It lessens the chance you get infected and spread the virus,” Topham added.